Autodesk makes software for people who make things. If you’ve ever driven a high-performance car, admired a towering skyscraper, used a smartphone, or watched a great film, chances are you’ve experienced what millions of Autodesk customers are doing with our software. Autodesk gives you the power to make anything. Over 100 million people use Autodesk software like AutoCAD, Revit, Maya, 3ds Max, Fusion 360, SketchBook, and more to unlock their creativity and solve important design, business and environmental challenges. 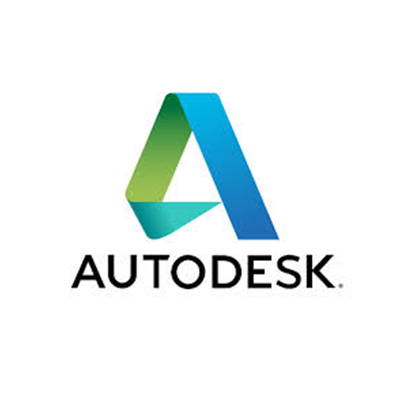 Autodesk is looking for a Digital Advertising Manager in Singapore, Singapore. If you meet the requirements below, you will be eligible to apply via Digital Marketing Community. Lead agency relationship in APAC region. Operate with the global team for in-house execution of display advertising strategies. Create a strategy and plan ad buying for Digital media including Display, Social, Video, Mobile, Native. Investigate potential testing opportunities and stay abreast of industry trends and new technologies (new ad formats, targeting capabilities, new vendor technologies etc…). Aid create and review RFPs from media vendors and agencies. Insert and management plans in DCM (Digital Content Marketing), including the creation of vendor IOs. Improve spec sheets and maintain trafficking workbooks and creative assignments. Support media buy details, insertion orders and contact lists. Accountable for the accuracy of plan details and confirmation of delivery. Serve with local teams in the development of the strategy. Oversee and evaluate campaign effectiveness, developing actionable insights for bi-weekly reports and post-campaign analysis. Work with internal stakeholders to develop campaign briefs, aligning Digital strategy to marketing and business objectives. Effective experience in digital media, preferably working with the display, video, mobile, social channels. Demonstarted firm understanding of the programmatic space, Doubleclick Bid Manager (DBM) & Demand Generation. Proficient B2B experience preferred, ideally within an agency. Proven track record in managing digital budgets and creating vendor IOs. Familiarity with DCM and collaborating with Ad Operations to implement campaigns. Diligent with strong attention to detail and ability to resolve problems quickly. Team-oriented; professional and cooperative attitude; proactive and excited to contribute ideas and thoughts. Highly organized, ability to meet tight deadlines and handle multiple projects simultaneously.